To view the client list, click Clients from the main menu and select View Clients. By default, the client list will be filtered to active clients only. The filter can be set to either Active, Inactive or All by choosing the filter from the submenu bar. To add a new client, either choose Clients from the main menu and select Add Client, or from the client list, click the New button near the top right of the page. When adding a new client, the only field required is the Client Name field, although if you plan to email invoices and quotes to your clients, the Email Address field should be filled in as well. 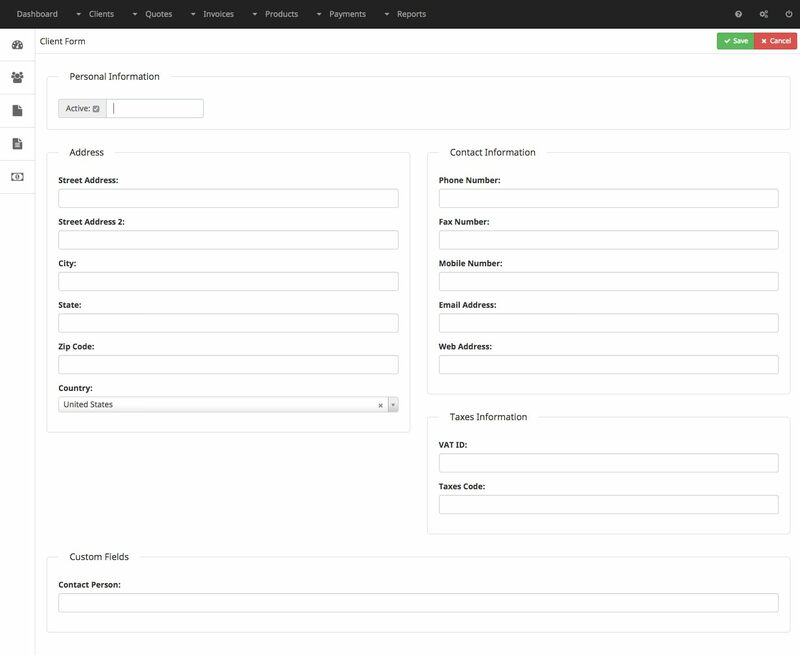 Any custom fields created for client records will display at the bottom of the client form. Clients can be granted permission to log into InvoicePlane to view their quotes and invoices, approve or reject quotes and pay their invoices. 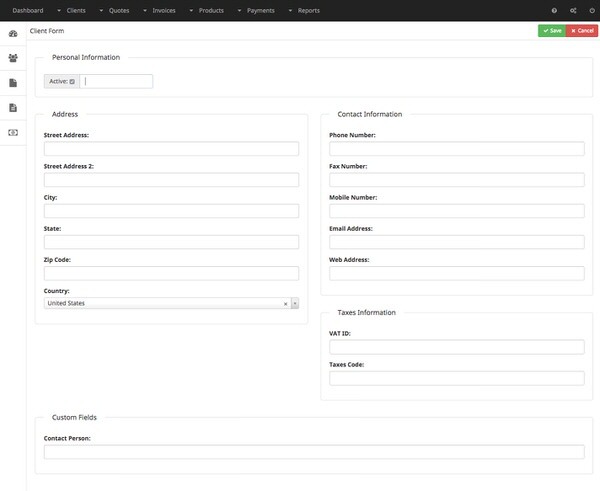 See the Guest Account section of the User Accounts page for instructions on creating logins for your clients.